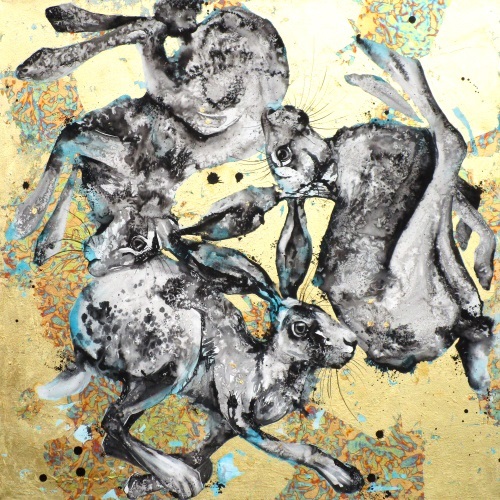 SOLD Ink, watercolour and imitation gold leaf on canvas - 90x90cm - based on the symbol of the three hares. This started in the far east and spread along the silk route, ending up in Devon churches. How amazing is that? On a deep edge canvas with gold leafed edges.